SNAFU! : Is the US Army's Next Generation Combat Vehicle becoming the reborn FCS? Is the US Army's Next Generation Combat Vehicle becoming the reborn FCS? Thanks to Iron V for the link! The U.S. Army is implementing a significant change to its Next Generation Combat Vehicle (NGCV) program. A new expanded structure was unveiled during a breakout session at last week’s 2018 Maneuver Warfighter Conference, held at the Maneuver Center of Excellence, Ft. Benning, Georgia. In a briefing hosted by Brig. Gen. Ross Coffman, director of the Army’s NGCV Cross Functional Team, attendees learned that the NGCV program is taking a new direction, expanding beyond the manned and unmanned platform elements that had been incorporated previously in the NGCV portfolio to encompass a broader spectrum of both current and notional systems. The briefing noted that final decisions on the Abrams Replacement effort will be based on an upcoming study analysis. The NGCV program changes, which were reportedly approved by service leadership last Tuesday (Sept. 11), were briefed to the conference audience on Thursday Sept. 13. I'm all for a family of vehicles but dang! This seems like they're doing a modified FCS rerun. Yeah they aren't trying to slam a self propelled howitzer onto the program...they're not trying to make wheeled vehicles one of the variants but you get the idea. What has me spinning is the Abrams Replacement part. 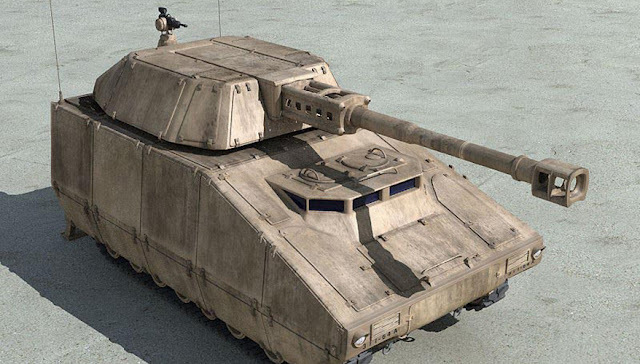 I know the Israelis are trying to push a light next gen replacement for the Merkava but unless the tech changes drastically it's already looking like a bridge too far. It's kinda depressing to see the Army biting on that craziness. We'll see what we'll see. Confidence is not high but hopefully they've thought this thru. Still. A Bradley, M-113, MPF and Abrams replacement in one? That's a BIG push!